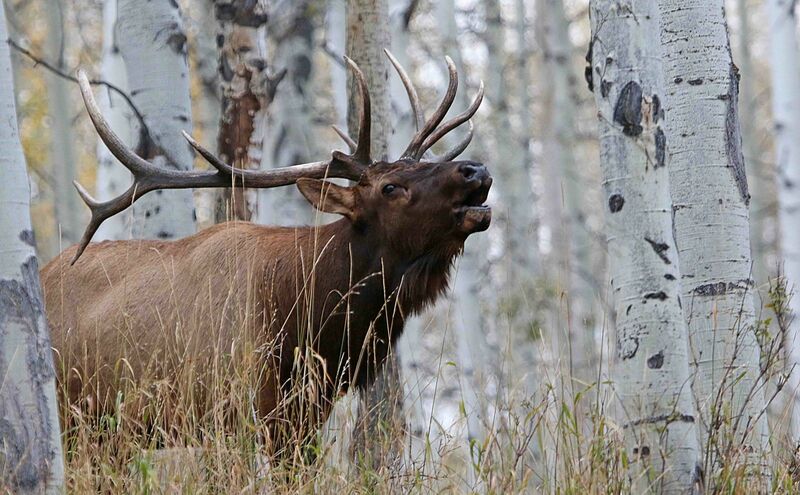 A mature bull elk is truly a symbol of the wild Rocky Mountains. 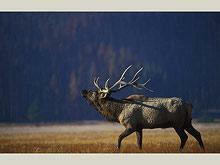 Elk are also known as wapiti, a Shawnee word meaning 'white rump'. Their massive antlers may span more than 5 feet! Despite their large size, elk are quite elusive and most viewers only get a glimpse of their white rumps as they swiftly fade into the forest. The piercing bugle of the bull, calling to breeding females and challenging its peers, is a sure sign that winter is not far off. 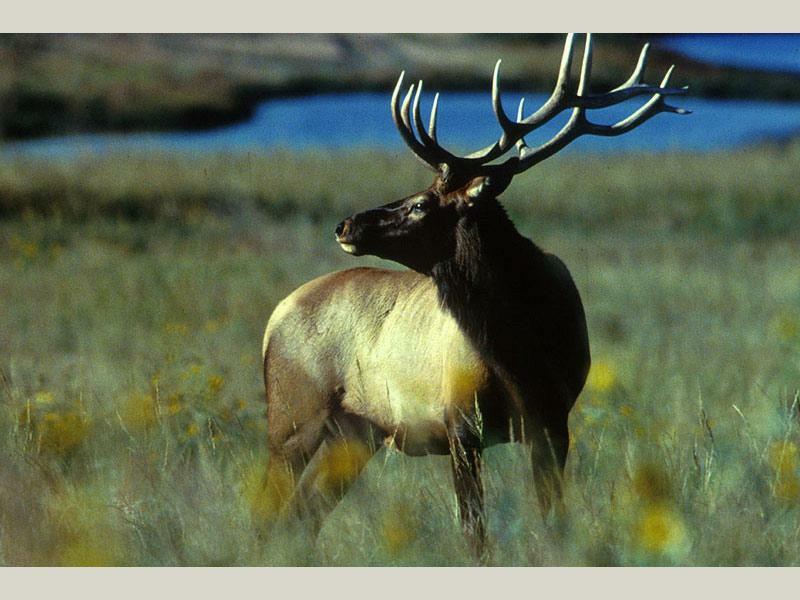 Most often seen in the higher, forested areas from Dowd Mountain to Dutch John,along the Flaming Gorge Uintas National Scenic Byway. Also check all the scenic backways heading up into the high Uintas. 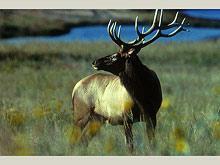 Thank you for visiting http://www.flaminggorgecountry.com/Rocky-Mountain-Elk! Be sure and revisit flaminggorgecountry.com frequently for content updates and more.